Exhibition: 9 September to 29 October 2017 . Jim Malone Throwing Off-The-Hump. Image by David Binch. The Leach Pottery is excited to present new pots by Jim Malone (born 1946) in his first solo exhibition of 2017. Jim will be selecting pots from his recent summer kiln firing and is anticipating a range of forms including bottles, jugs, and tea bowls decorated with tenmoku, kaki, wood ash, and hakame glazes and surfaces. Jim Malone has been making high-fired stoneware pottery and porcelain since the early 1970s: he works alone producing a wide range of individual pottery forms. 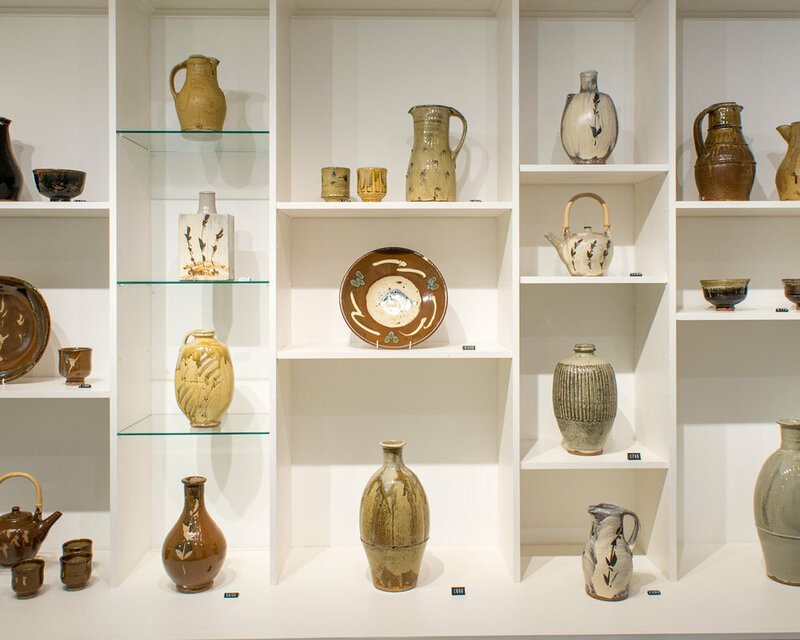 One of Britain's foremost potters, Jim has exhibited widely in this country as well as in America, Germany and Hong Kong. Jim is a Fellow of the Craft Potters Association of Great Britain. Jim Malone will also be teaching a Masterclass, in the Old Pottery, over 3 days in September. Jim will be working with a small group of students and returning to the essence of the skills and thinking that are required to throw and make better pots. There will be the opportunity to meet Jim Malone, and discuss his work, at the public Preview on 8 September 2017 from 6pm. Preview policy: to support the spirit of the Preview, works will be available to reserve or purchase from 6pm onwards for guests in attendance. From 7pm onwards, purchased works can be taken from the gallery and we will begin to sell/reserve works to those of you unable to join us on the night. We are keeping a record of people who would like to buy Jim's pots but are unable to be here: from 7pm, we will go through this list and reserve/sell pots identified by interested parties. Please contact office@leachpottery.com to add your details and/or request images of each column of pots.